Web Development Brisbane done the right way! Here at Team DNR, we think a well designed WordPress website makes a user return to the site, ensures that the website conveys accurately, succinctly and in simple terms the purpose and utility of the website. Like all good things, presentation, content and usability determine the success of a website. A WordPress site which is ambiguous and not concise and precise, is outright rejected by the user who is there to find answers, not be confounded by more questions. The site should utilise text which is engaging and able to convey the central idea of the page instantly, this is really something every Brisbane web developer should be looking at. The language used should be simple and objective – no one has time to read through flowery texts! The page should be clutter free and all annoying and unnecessary tags, spaces, popup windows, music should be done away with. Aim always for clear, distinct and unique subject lines to grab the attention of the user. Pictures which hurt, text which is loud and inane, and graphics which have no specific purpose are a strict “NO”. A webpage should be so designed that it is appealing with the right colour combination, usage of text with fonts which are stylish yet with universal appeal and images which intrigue, which should really be easy when you’re using WordPress. Pay attention to hero image and its placement; use white space adeptly to compartmentalise the information on the page effectively. By breaking the page into several small sections the attention span of the user is retained while at the same time usability of the information is enhanced. The layout should also promote ease of navigation in the site. In short, make sure your website developers in Brisbane are working closely with the web designers. A successful website caters to a wide range of devices in various screen sizes and running on different platforms, luckily WordPress has a LOT of responsive themes available. To attain a wider viewership, the pages should be designed to be responsive in any environment. During designing use only so much technology as needed and not intimidate a user from further perusal. A user has to come back again and again to a site to improve its credibility, and that can be done by providing something new and fresh every time they return. Make sure to update the site periodically; broken links, 404 error and unresponsive hyperlinks are a big turn-off. Adding new additions like blogs, periodically newsletters and other interactive services will prompt the Brisbane based user to come back for more. Testing the site and figuring out if it is working the way it is meant to nails down glitches and improves the soundness of the website and provides valuable insight into the overall credibility of the site. Any drawbacks in navigating the site or in the layout can be rectified in the testing time. One of the things to keep in mind is hosting, it can be quite tricky to find an Australian web hosting company that’s reliable & affordable, just another reason to test. It is an ongoing process wherein new issues will crop up and those have to be resolved. A successful site is possible only if testing becomes a “must” of designing (and remember that this should not be done by the web developers, but rather a separate testing team). Alternatively you can avoid most web hosting issues by going with a managed WordPress hosting provider. They take care of the tedious stuff like back-ups, security, WP Core updates, etc. And while they might be a bit more expensive than your usual shared hosting plans, the speed and WordPress specific support makes up for it. On top of that, managed WordPress hosts always make sure their servers are fully optimized to exclusively run WP sites! While there are a LOT of managed WP hosts popping up these days, the early adopters (like WP Engine) are still the best ones, check out this list of the best wp hosts to make an informed decision. 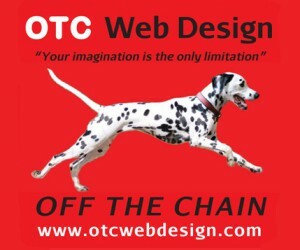 The above rules will help design a successful site that ensures constant traffic, seriously important tips to remember. Every technological advance brings with it greater variety and advancement in affordable web design. With an ever increasing diaspora of population dependent on the internet for everything, it is paramount that a company’s website is able to hold its existing customers and bring in new ones. A new company website or a refurbished website, heed has to be paid to the latest trends in websites to remain in vogue. Let us pay attention to a few of the top trends for websites in the Brisbane web development industry. A clean appealing website with the right amount of colour and text and visual images is sure to hold the interest of the reader. With gadgets of all shapes and sizes been used, a site should have responsive design. Special attention should be paid for mobile optimisation, since we literally live of our mobiles. Next, the hero image which is like a trailer to the main picture (and hence important in creating the best first impression) is static or animated and ideally in card layout. It is very difficult to hold anyone’s attention with clutter all around. The present trend is a clutter free website with bite sized information which can be easily shared, say via a twitter of Facebook. Now-a-days all websites tend to follow Card layout, which has the right amount of imagery with text arranged in rectangular boxes which is easy on the eye helping the client focus on areas of specific interest easily and quickly, which is what a good website should do. With smart phones virtually taking over every aspect of our lives today, scrolling down endless text has become the norm, and a site which can allow this definitely has an edge over other websites where one has to navigate between menu and other content. The site should not contain irrelevant and unnecessary content. In an attempt to keep clients coming back, most websites ask clients to register. The idea to personalise to a clients need is good but will lose value if burdened with long winding registration forms to be filled. The trend now is to ease this process either by linking registration to social media or employing a wizard. We are now in an age with shorter attention spans and shorter patience levels. A site which is trying to tell too much too loudly will not hold the court. Too much colour, text and jazzy layout are passé. Minimalistic designs are the in-thing now. The website has to be able to convey more in less by using crisp engaging text and the right typography. Extra care should be paid to avoid fancy and garish font, but at the same time avoid plain and dull text. The trend is to use bold and big fonts with interesting colours. High resolution images which convey the unique features of the company are the latest fad. Another feature which is fast gaining popularity is cinemagraph which is essentially a mix between video and static images.